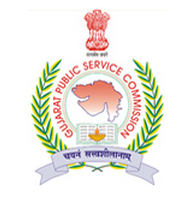 The Gujarat Public Service Commission (GPSC) has released the admit card or call letter for both preliminary (Prelims) and Main/ physical standard test (PST) level exam for the state service recruitment. Candidates can download the admit cards from the official website, gpsc.gujarat.gov.in. The GPSC had earlier this week released the answer keys for the Preliminary exam for recruitment at the state service exam. The preliminary exam was conducted on October 21, 2018 and the mains is scheduled to be conducted on February 17, 24, and March 3, 2019.